Jan and first half of Feb 2011 – locally referred to as the Great Powder Depression that will be spoken about for years in Chamonix – opened up to us the opportunity to focus more then usual on the ice climbing. In times when the great ski lines are patched with rock and ice or skied out harder then a piste, the ice falls and ice gullies come out into view both practically and mentally. 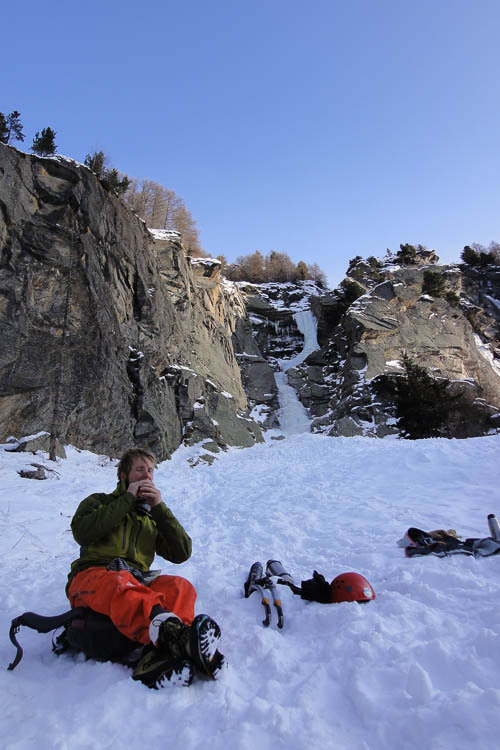 I am happy to report that the winter is back to normal i the Alps and that the après-ski bragging is once again about those great runs and endless face shots. 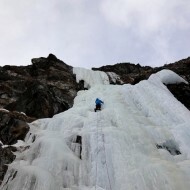 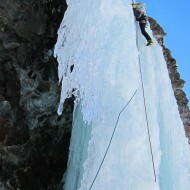 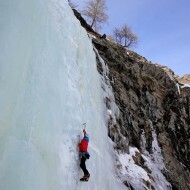 But even so we are still making regular visits to the Cogne Valley to climb ice falls – we got hooked on this sport! 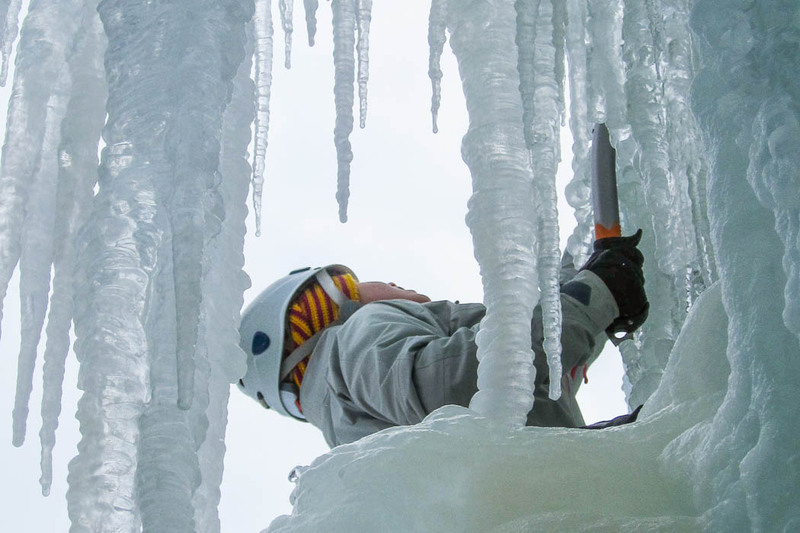 After getting over the first struggles encountered by novice ice climbers or getting back into shape after years of mostly skiing and little ice climbing, you actually long to have the axes back in your hands. 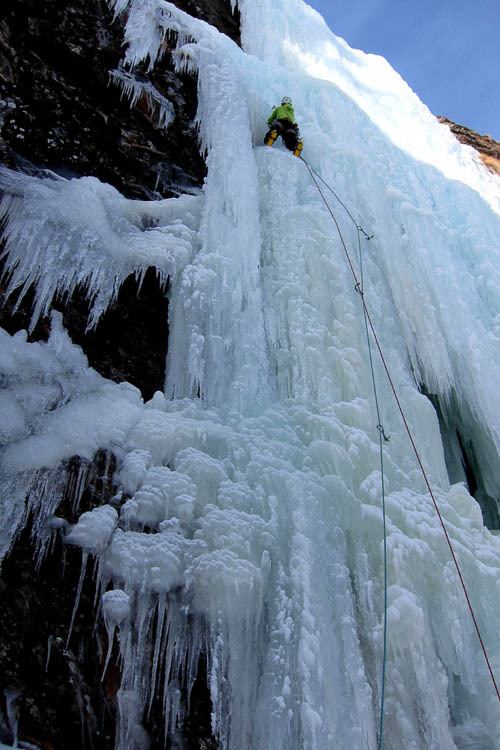 I personally found the ice climbing more satisfying in terms of movements, flow, climbing speed and possible challenges once reaching the more advanced level of an accomplished ice climber. 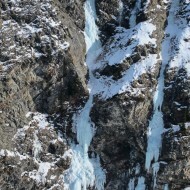 At grade 5 the icefalls contain longer sections of vertical ice that demand a certain amount of technique and endurance. 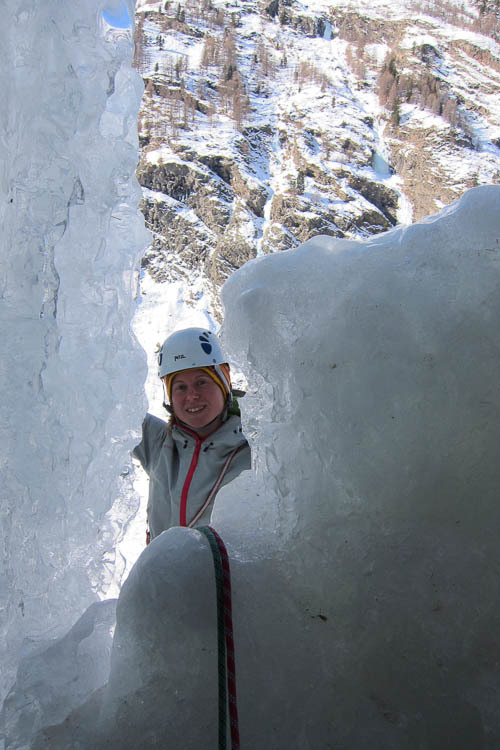 I have come to realize what my friend Hanna-Kajsa meant when she suggested that there is a fine line between ice climbing being fun and not fun at all. Too easy is not very exhilarating, then there is a narrow grey zone where the climbing is interesting and you have lots of fun, but you can quickly climb yourself out of your comfort zone and into a terrifying and desperate position. 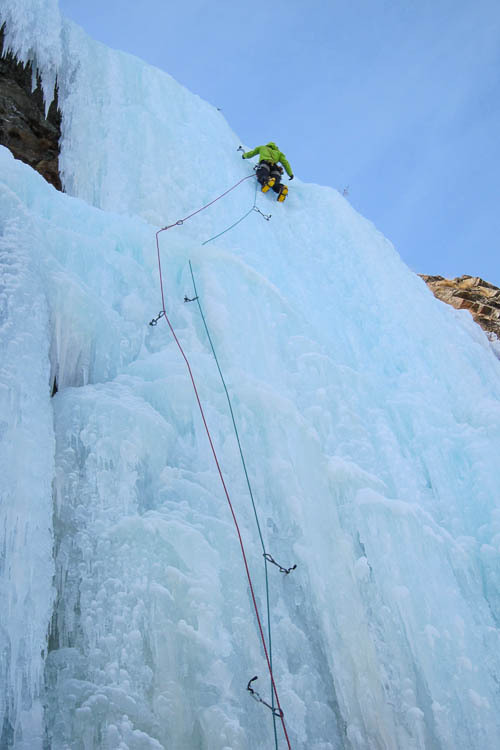 Choosing the right ice falls are not always evident, since the difficulties varies by the hour depending on the temperatures, amounts of ice, and the number of people that have climbed before you. 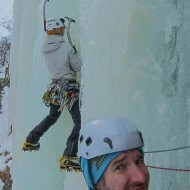 Knowing about the current conditions significantly increase your chances of a good day out (as always). 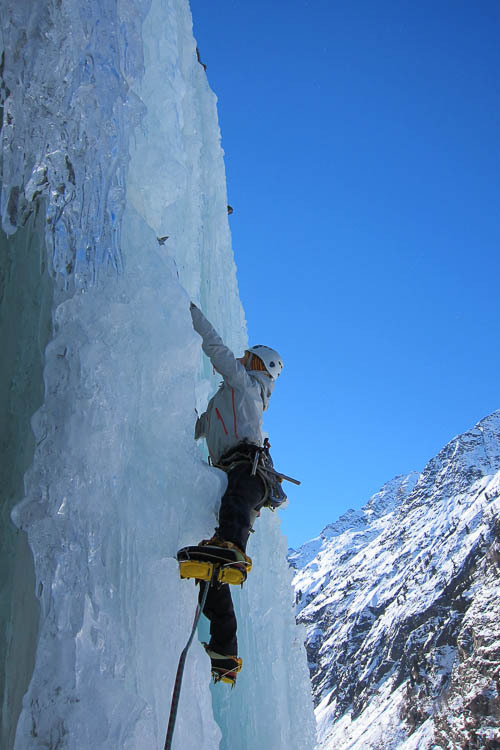 Lyckily we are not too far away from one of the ice climbing Mekkas in the Alps…a great place to take your ice climbing to the next level. 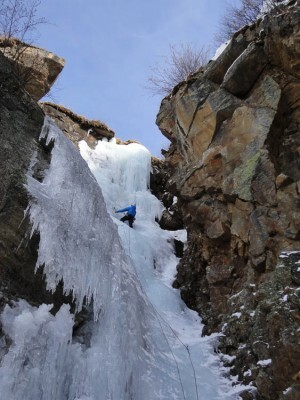 Cogne is a peaceful place in the end of the valley stretching south-east from Aosta towards Grand Paradiso in Italy. 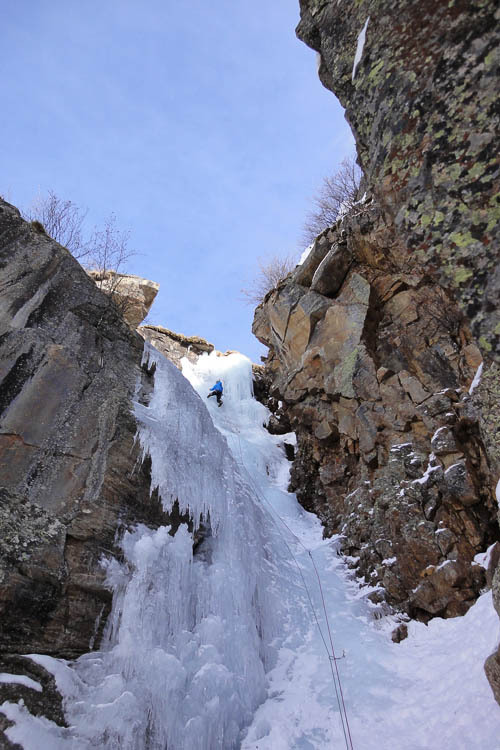 From the town Cogne, a smaller valley stretches to the south; Valnontey, and if you drive 3 km further in the Cogne valley to the village of Lillaz you have Valeille as well, parallel to Valnontey. 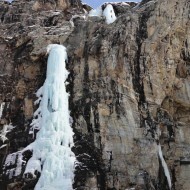 These two valleys are lined with long, thick ice falls on both their east and west sides. 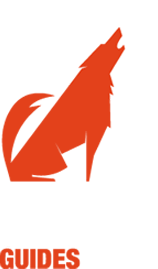 The old villages around here are genuinely Italian with beautiful stone houses, cozy bars and restaurants, and friendly people. 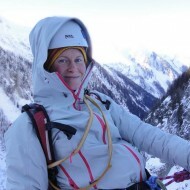 The atmosphere is calm even though the visiting climbers are many – a nice contrast to the stress and noise in busy ski resorts. 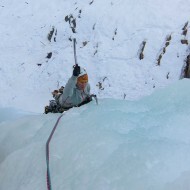 Life is simply good and the climbing is magic! 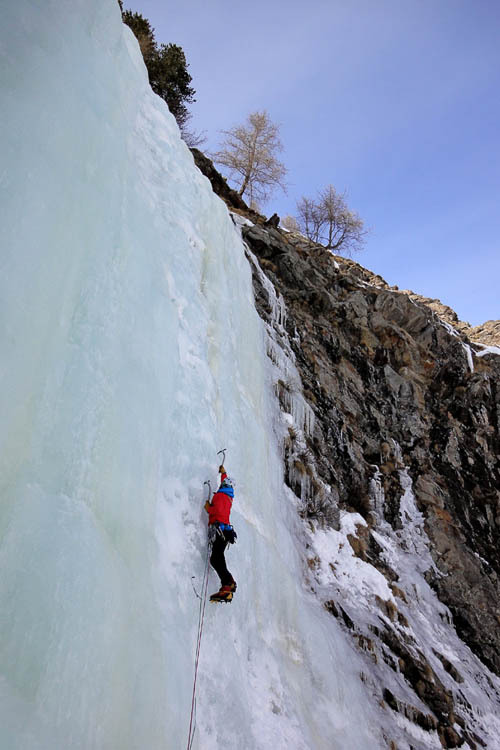 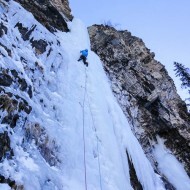 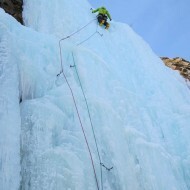 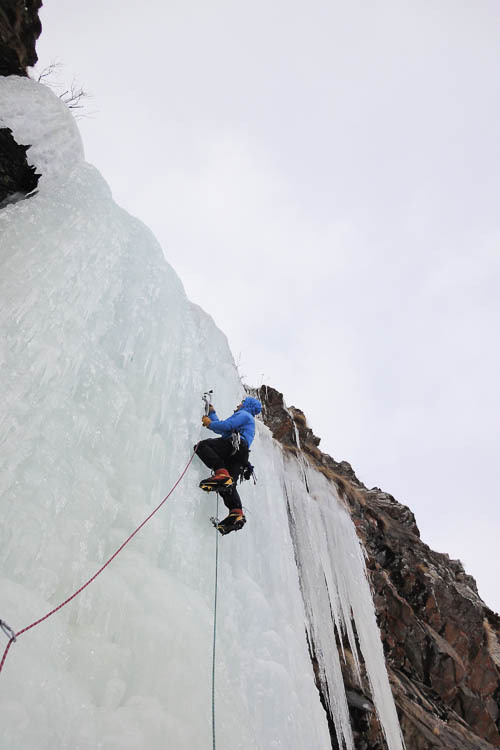 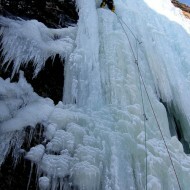 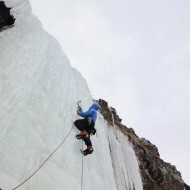 There are enough ice falls in Cogne for weeks of climbing. 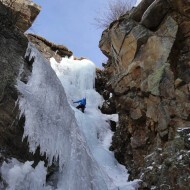 This winter we have climbed about 10 well formed ice falls of grades 3-5, but there are many more. 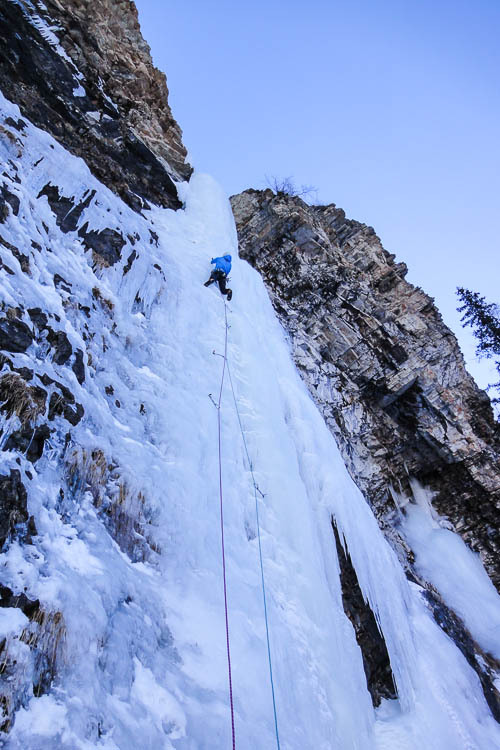 Most ice falls are climbed frequently, which allows for a lot of hooking, which generally makes it a lot easier then if you are making the first marks on the ice. 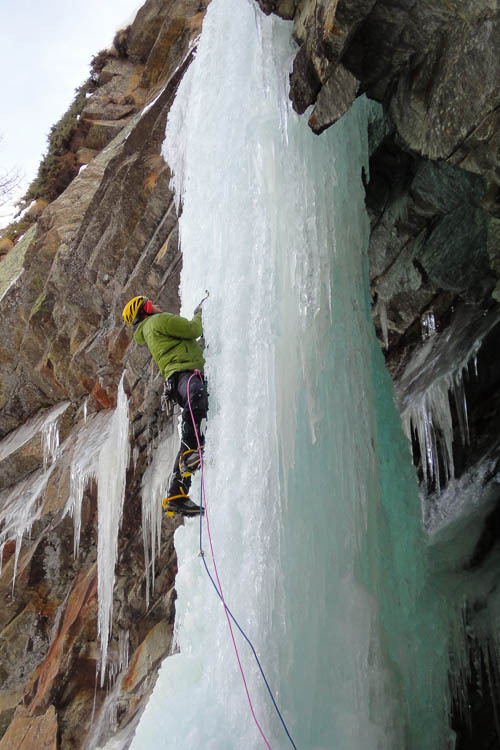 Right by the village of Lillaz you find Cascata de Lillaz that offers a beautiful and long intinerary for the novice ice climber, starting deep in the river gorge and finishing on the upper sunny slopes. 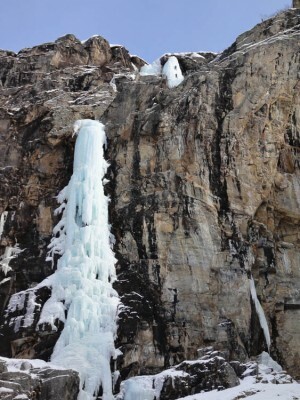 In the main valley the ice falls of 100-600m are lined up as in a beauty contest. 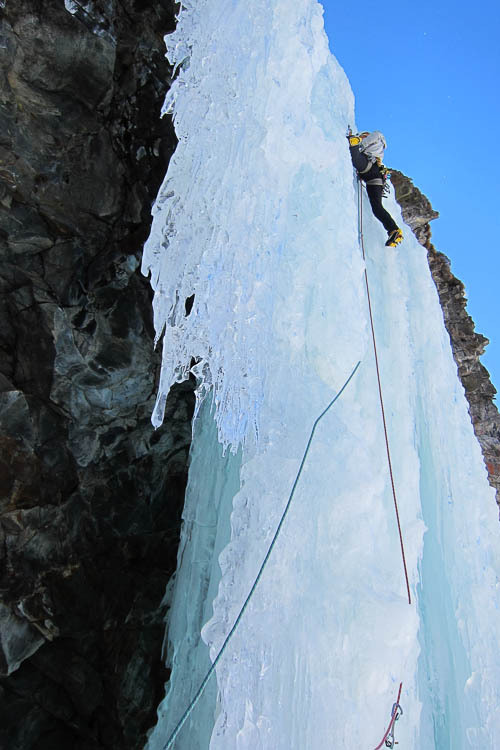 On the shady west side of Valeille (rive droite) we highly recommend E Tutto Relativo (4, 200m) and Stella Artice (5,180m). 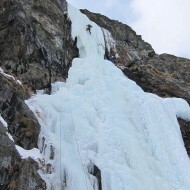 Alongside these you also find the longest ice fall in Cogne, Cold Couloir (4+, 600m) as well as some mixed routes. 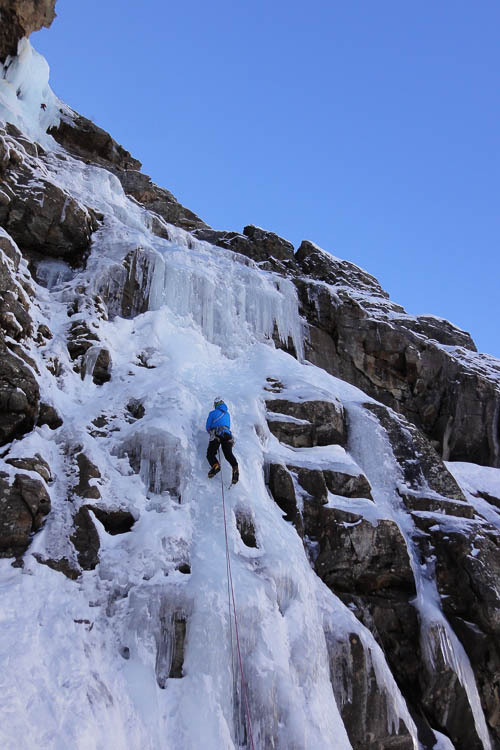 On the sunny side (rive gauche) we climbed two great classics of grade 4+/5, Tuborg and Candelabro del Coyote that were well formed all the way up in January (the upper pitches are apparently not in good conditions every year). The approaches are relatively comfortable (15-45 min on foot) and all ice falls are in good view when walking in along the valley floor. 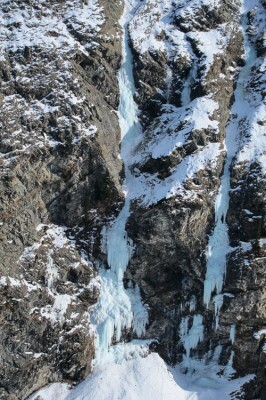 The well formed ice falls (this year) we found pretty far into the valley (around 1h30 approach on foot, but much faster with skis). 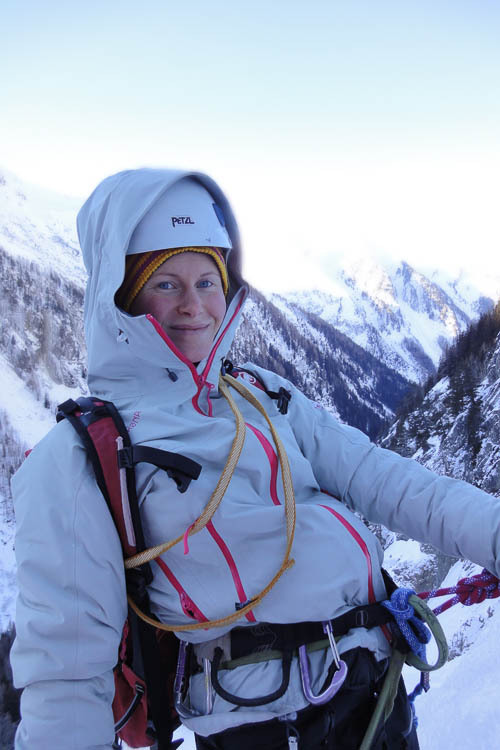 A nice one on the sunny side is Erfaulet (5, 140m), hidden in the shade of a narrow gully. On the more shady west facing walls there is plenty of room for many climbers, for example on Mur de Patri (4/4+, 250m). 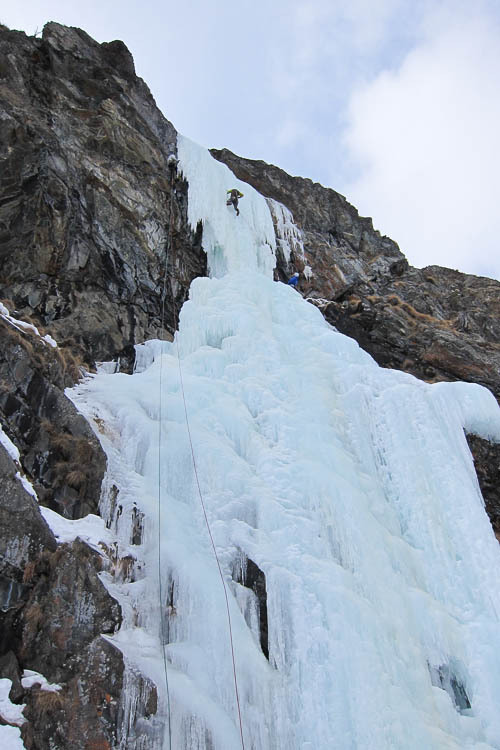 Even a bit further into Valnontey on this side is of course the queen of Cogne; Repentance Super (5+/6 220m) that we did not get a chance to climb yet, since there was always rope-teams ahead of us on this popular master piece. 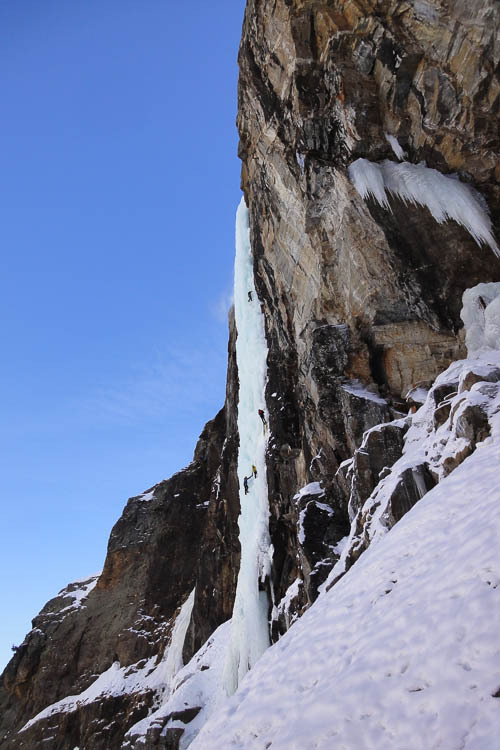 Luckily there is a worthy alternative just next to it, Monday Money (4, 180m), offering the same great views but a bit easier climbing. 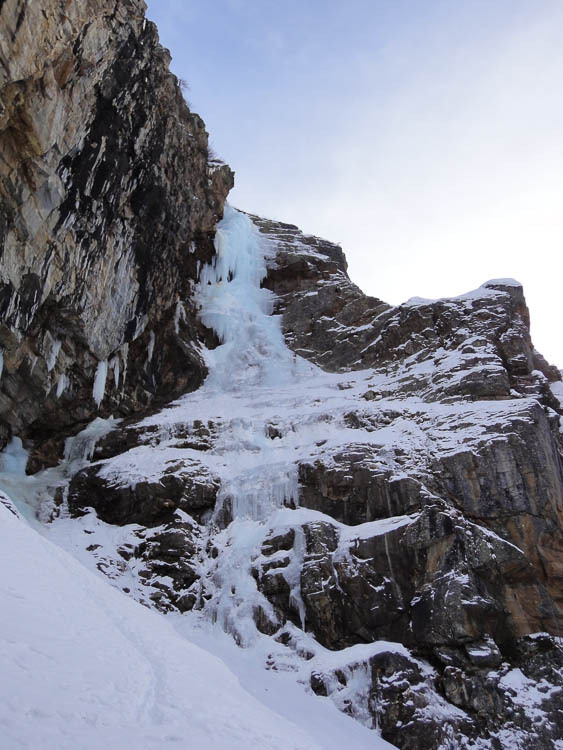 We have been visiting Cogne this year from beginning of Dec till end of Feb, finding that not all ice falls were formed to start with and that the last few weeks the ice has become rotten on the sunny sides. 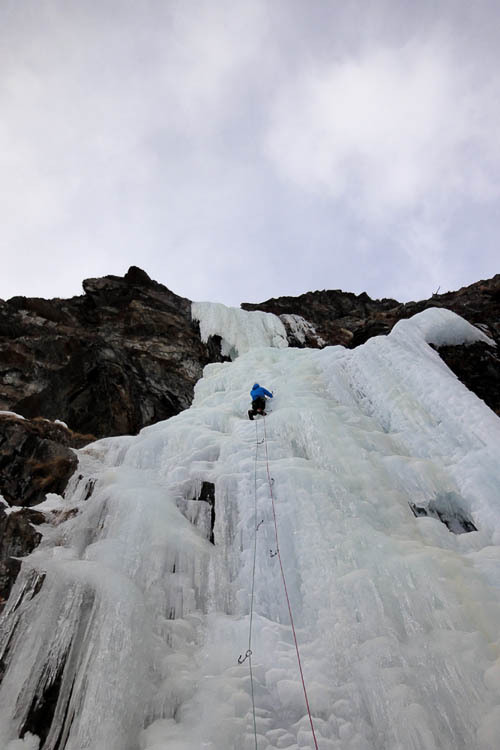 Current Conditions: In general the ice is still good on the west facing walls but often becomes very soft in the afternoons when the upper pitches get the sun. 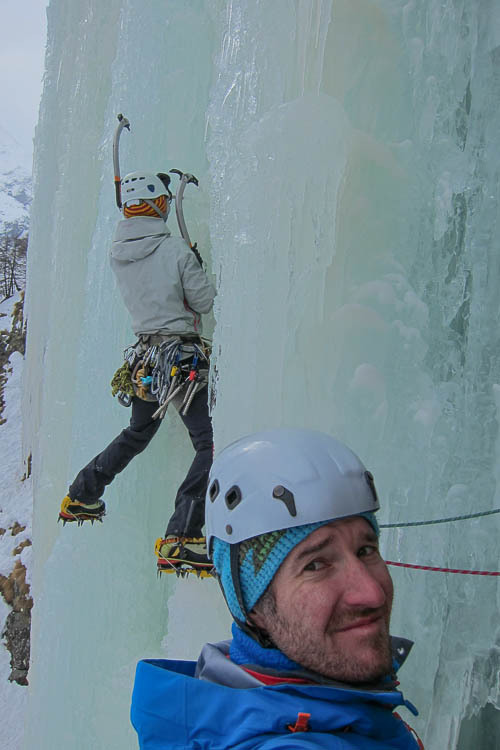 With 1h30 drive from Chamonix we found it nice to stay for the night and treat ourself with a mini vacation of 2 days sometimes. 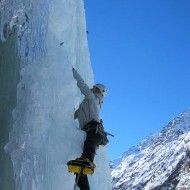 – Hotel La Barme in Valnontey became the favorite. 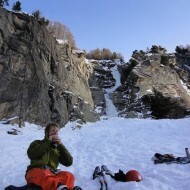 Friendly staff and often full of climbers enjoying the plentiful dinner after a successful day of ice climbing. 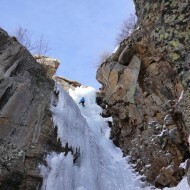 There is 80km of cross country tracks going through the woods and the bottom of the valley floors. 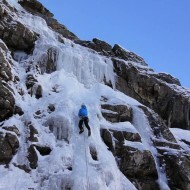 Really well maintained and beautiful surroundings. 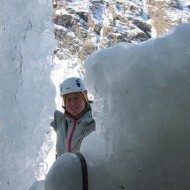 – Contact Mountain Spirit Guides for guiding or ice climbing courses. 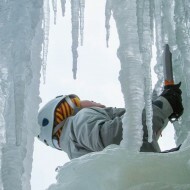 – More photos in our Facebook ice climbing gallery. 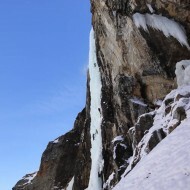 – Current conditions of the ice falls in Cogne. 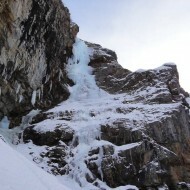 – Updates on conditions and photos of the ice falls in Jan 2013. 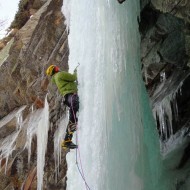 Tags: Cogne, ice conditions, Valeille and Valnontey.